To people with an incurable disease, clinical trials signify the possibility of a cure. Perhaps my suffering will end one day. Someone is looking for answers. Someday my prince will come. Most patients I know read with interest headlines about their disease. They trust medications that have been recommended to them because of effectiveness demonstrated during clinical trials. Patients suppose research will lead to a cure. Do clinical trials test all kinds of patients? Does clinical trial research benefit all patients with a disease? Can everyone assume that the conclusions from a study apply to them? Will the drug work? Great care is taken with clinical trials to insure that the results are relevant. Populations are randomly assigned and there is an effort to eliminate bias. However, if the specific eligibility criteria of a clinical trial generate a population of patients which is significantly different from the population who will eventually use the drug, there may be a problem. I have been told that clinical trial investigators look for patients who are most likely to respond. They have learned to choose patients who are most likely to improve with their treatment and achieve their goal of gaining approval for their drug. 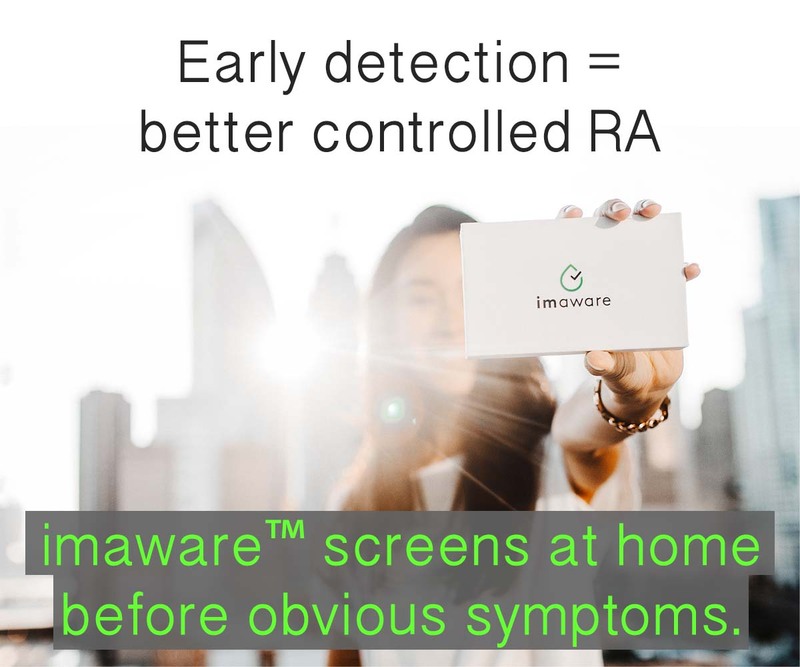 Therefore, they look for a certain type of RA patient. Clinical trials establish very specific criteria for inclusion and exclusion of participants. Some criteria include time since diagnosis, previous medications taken, and co-morbid diagnoses. 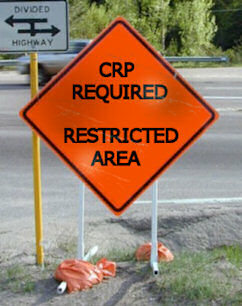 Many RA trials use a C-reactive protein (CRP) level as an eligibility requirement. CRP is a protein produced by the liver during periods of inflammation in some people. CRP is called an acute phase reactant because it can increase in response to acute conditions. The common belief is that CRP is the best objective indicator of inflammation. Some rheumatologists believe that it’s the only dependable inflammatory indicator. However, as we’ve discussed a few times before, CRP tends to be lower or higher in different people for a variety of reasons, including genetics. Approximately 40 percent of people with Rheumatoid Arthritis have normal results on the so-called inflammatory markers, CRP and sed rate. These normal results occur in spite of Rheumatoid disease activity or accompanying pain, disability, and damage. Sometimes, RA patients with lower CRP levels have difficulty getting adequate treatment exactly as suggested by this article in Genetics Times. How different are patients in clinical trials from average RA patients? I have another theory. Perhaps the drugs work better on certain patients – patients who fit the criteria for clinical trials. New RA medications have been tested on a group with distinctive features such as high CRP or sed rate, ample visible swelling, and positive Rheumatoid factor. Often, these characteristics do not correspond to the general RA population. I found a Turkish study that illustrates the variance between the average RA population and that used in clinical trials. They judged whether people who are already being treated for Rheumatoid Arthritis would qualify for clinical trials. Only six percent of patients who had been diagnosed longer than three years fulfilled the common criteria used in clinical studies. No patients in the more recently diagnosed group (under three years) fulfilled the common criteria for RA clinical trials. I’m one of those hopeful patients I mentioned. I hope researchers will read this and consider it. I am currently in a Pfeiser drug study and have been for the past 2 years. I cannot begin to tell you how it has changed my life. I was ready to end my life as I was in pain 24/7 and could do nothing. I couldn’t walk to the end of my driveway to get the mail. I couldn’t go grocery shopping or out to eat if it was too far from the car. It was awful. Now, 2 years later I am walking 2 miles a day, can walk any where I want to go. I now have my life back again…and the best part is….I am almost pain free for the first time since 2002. I take 2 pills twice a day, along with my 6 methotrexates per week, and my folic acid….I have stopped all other medications (I was taking 15 different pills each day). I have lost weight (which helps my hips and knees). My drug study doctor tells me that I am in remission and have been for the last 6 months. He is calling this medication the holy grail for RA…as everyone that is in this study under his care has responded to it. I travel 4 hours one way to see this doctor and stay in this drug study (my former dr. stopped doing studies)…I love this new doctor and am so appreciative to have been accepted into this study. Can you share the name of the drug and any other information you have on it? Like – is it a biologic? What group of patients is it for? For example, Actemra is a good option for people who do not have high crp, but still have a lot of symptoms and have not responded to the tnf blockers. Please tell us! 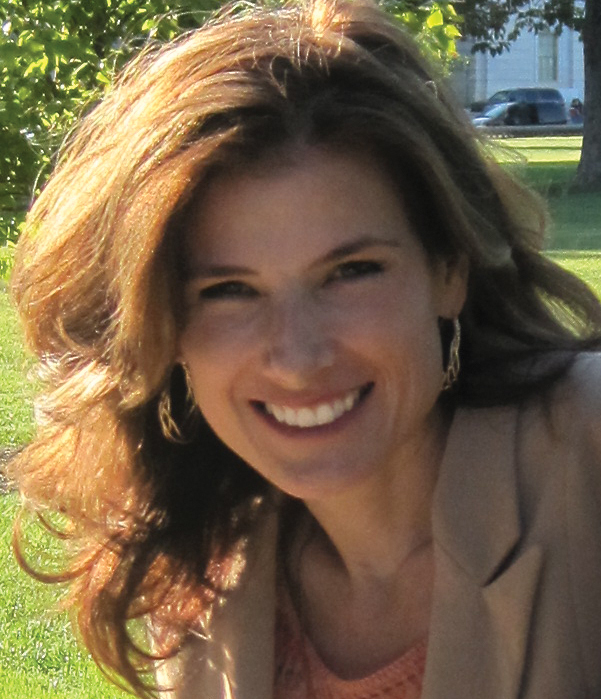 Yes, I hope the drug companies will listen – what about us? The 30 – 40% of people who don’t respond… Those of us who are seronegative… and so on. I would think it would be a huge market! My sense is that those of us with low crp, have had health issues all through our lives. Maybe allergies, thyroid, and so on. Immune systems gone wrong early on. As usual – thanks Kelly! Sharon, I am guessing that you are on a drug that we’ve talked about here a few times over the last year and a half. Is it tofacitinib (formerly tasocitinib)? Eitherway, I’m so glad that you have something that works. I’m just hoping that we can finds something for others too that are still at the point where you were for a while – 24/7 pain & inablitly to shop or wash dishes, etc. and no improvement or reprieve no matter what. My rheum doc was hoping that either one of the new syk inhibitors or a jak inhibitor (like taso/ tofa) would work for me too when it’s approved. Of course, I was refused for any trial so far due to my fickle crp. Hopefully one or more will be approved within the year so many of us will be able to try it. in case someone wants to read it, the links for the Pfizer drug I mentioned are here and here. I am first reading about a study at Northwestern University (the news is over 1 year old, but I am first learning of it now) of a molecule that reportedly causes over-active immune cells to self-destruct. Studies were done (not on humans) that were supposedly 75% effective and without toxicity (does this really translate into 5% effective? lol). I hope for either remission or cure for all of us with RA. I have included the link. Kelly, if this has already been mentioned/discussed please excuse my ignorance. All good and interesting points, Kelly! Of course it makes sense that they’d want to test the drug on the group most likely to respond – but you’re right, that’s not a good indicator of success for those who wouldn’t have met the “trial” criteria. I feel like there are a lot of similar drugs out there right now that tend to help similar groups of patients. Time for some thing new. Something different. Something to help the rest. Hope it comes soon! 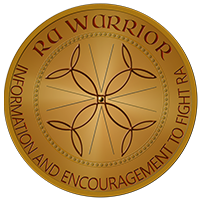 After 20 years of misdiagnosis, I was finally diagnosed with severe RA. Initially, that Dr.’s office was quite excited to see me as I seemed to fit the parameters of their new drug trial. Sadly, my swelling, or lack thereof, would not allow me to be a participant. This ongoing lower crp level has also made these same Rheumi’s view me with skepticism as I have reported continuing pain and flares for the five solid years that they have been treating me. On my last visit, as I reported more of the same, I was handed a diagnosis of Fibromyagia. Whatever… I delight that I have found this web site. Tragically, I have nothing new or enlightening to add. Donna, you bring up another related problem. Many doctors follow the clinical trials’ standards and procedures in their clinical practice. I’ve had them tell me so. We’ve also read that clinical trials standards are not to be used in clinical practice. Read here where a representative of the ACR reiterates that in a comment to us. Here is something interesting, patients with inflammatory arthritis were excluded from the diagnosing criteria studies for fibromyalgia in 1990. Yet we get this diagnosis quite frequently. It must be too difficult to differentiate pain from RA and pain from FM. I believe FM is vastly over-diagnosed for the reasons you stated. One way to test this is by trying prednisone. If it relieves the pain then the pain has to be from inflammation and not from FM. This is what my doctor did, and it turned out to be inflammation. Donna, have you already seen the posts here that discuss fibromyalgia. I thought I’d come back & give you the link –click here. Thanks for pointing this out Kelly. In addition to Hawthorne effects, selection bias can play a large role in the outcomes of clinical trails and ultimately, which drugs make it to market. Many of us are “seronegative”…I’ve yet to have a positive CRP and sed rate test. But I have xray documented bone erosion in multiple joints along with other documented symptoms. Yes, I qualify for a diagnosis using the criteria…but barely without the CRP. I suspect that biologically, there is a lot more going on with RA then we yet know and this means that tests are not yet accurate. But all meds I take were approved on samples with positive CRP tests. Makes me wonder what the formulary would look like if all sufferers were included in the trails. My rheumy regulary insists that most seronegative folks suffer less over the long run. But my suffering and the long term damage is real and it would be nice to include us in the development of drugs. And yes, we’ve all heard what your doc says about Rf, but it has not borne out with the patients. I know high Rf people w/no damage and plenty of neg Rf people w/bad damage. It was a good thought but it didn’t bear out that way in practice. …and there are also high RF people with lots of damage too, like me. right, I was just thinking of an image I’m going to make w/ 3 factors. pain, damage, and indicators like external swelling or blood tests – they don’t always correlate well period. I wouldn’t learn that in med school apparently but if you listen to what patients tell you, it’s clear. When I was doing a clinical trial once, they were more concerned with my SED Rate than anything else. As long as it registered higher than the normal, then I qualified for the program. They checked it each time and it never went down. I had two infusions and then quit the study. I didn’t like the way the infusions made me feel. I wanted to feel better not worse. Good point, Doreen. The sed rate was the marker of choice for years. then CRP gained favor & has begun to replace sed in DAS scoring and in clinical trials. Back before my diagnosis, the docs all said I couldn’t possibly have RA because I’ve never had an abnormal sed rate. This is interesting. My CRP/sed rates are always close to normal yet I still experience a significant amount of pain in my joints. My rhemo also confirms that I continue have swelling in many areas (hands, knees, ankles, feet). I am not responding to the typical treatment of plaquenil, prednisone and arava. He says I fall into that 20% that don’t respond. So I wonder what the purpose of the blood tests are? He wants to add me to a clinical trial of an RA med to which he says he thinks I am likely to respond. Interesting. Good luck Heather. If you can get into the CT I hope it works for you!! Wonder what would happen if “they” threw the rule book out and just accepted any patients diagnosed with RA in studies for each of the current drugs (DMARDS and Biologicals). Are “they” afraid that the results would show, as we suspect, that none – NONE – of the drugs work “well” for over 50% of patients? Then there is the “bell-shaped curve” that indicates any drug will work extremely well with 25% of the population, well with approximately 50% of the population, and not at all well with 25% of the population. And that 50% varies, too, with some having better response than others. Sharon, I’m delighted you are in the 25% extremely good response category of your clinial trial. Wish I could find a trial I am a candidate for. I’d travel to DC or wherever to be on one, if there were a good chance I’d have improvement! I’m with ya, Elizabeth.I’d go anywhere if there were relief to be found. I wonder if some of the reason for insisting on the CRP rate as a qualifier for the clinical trials may be that they need *something* they can measure quantitatively in order to show objective proof of improvement? Just a thought. Mary, that is right. The have to have something they can compare, especially with previous trials. The do see this as an objective measure. However, the value of objective measures is not as high when we notice they don’t correlate well with disease activity. I’d recommend the other posts tagged CRP to look at some of that evidence. Also, Dr. Pincus has worked for 25 yrs on this and demonstrated that patient outcome measures (questionnaires) are actually the best & are as scientific as lab tests and xrays to measure RA: read one of his reports here. Also, this other post is important to this discussion. There is talk going on about the value of trying to make studies internally valid while they are externally irrelevant because they do not relate properly to the general population outside of the trials – read here. Just stumbled across this as I thought about what Mary said: http://ard.bmj.com/content/65/6/820.abstract Joint counts are objective and most accurate. I never meant just a pain scale – sorry if I was unclear. The Pincus pdf describes a process more complex than that and yet simple and more reliable than CRP or Rf, etc. CRP is not reliable for disease activity since some patients have things that cause it to be high or low that aren’t related to the RA. There is a guest series on genetics, RA, and CRP coming soon. Boy does this strike a chord! My blood work is all normal, all the time, and I couldn’t get a diagnosis as a result. Fortunately I finally decided I deserved better than I was getting and went looking for and foumd a rheumatoligist that would examine me and my joints and ignore the blood work. It’s interesting that they are so focused on these markers – I realize these are easy to measure whereas joint pain is more subjective and therefore more difficult to measure. The pain, stiffness and fatigue and it’s impact on our ability to do our daily tasks is of course what is most important to us – but is more difficult to measure. In a clinical trial, the researchers and the patients have somewhat different goals I guess. One seeks a numerical success the other relief. With luck, these goals can intersect. It is unfortunate that the selection of patients for clinical trials doesn’t look more like a cross section of patients in a practice who a diagnosed with RA. We might see a more realistic picture of expected results. Leslie, several good points! I’d recommend the reply I just mad above to Mary which relates to your comment. But I realize you both may already know these points. Such a tough job to have such smart readers. This is a very interesting post, Kelly. Like Leslie, my bloodwork is almost always normal, even during a major flare. This led several docs to initially reject an RA diagnosis because there was “no inflammation”. No inflammation? Then why did I have confirmed esophagitis via endoscopy? Why did I develop periodontal disease and gum inflammation after the RA presented? It seemed that I was collecting diagnoses with an “itis”, yet all bloodwork remained normal. I think Mary’s point is a good one, in that the researchers are likely insisting on CRP as an objective measure due to the fact that there really aren’t any other “reliable” objective measures other than patient feedback. But then one person’s mild pain is another person’s excrutiating pain, so how would we account for this if using the patient feedback measure? This really is a major dilemma – one that I’m not sure how to resolve. I’m fortunate that Enbrel works for me, despite being part of the population that can’t participate in trials. I guess there are many more questions than answers. Hi Kelly, I live with rheumatoid disease, but all my blood markers are normal. I am also a scientist [retired early because RA limited my bushwalking/botanical field work]. I read your blog carefully, and share your frustrations that trials are not carried out on ‘real’ patients. But as a scientist, I can explain one reason why the trials are mostly limited to those with blood markers that are measured in NUMBERS. Most scientific journals look for papers that present their results in NUMBERS that can be statistically analysed. So if a drug shows that CRP numbers are reduced by 10% in 20% of patients, that will carry more weight in the scientific community, than reporting that 20% of patients told them that they felt somewhat better after using the drug. I can understand this bias, as my scientific work also did NOT produce numbers that could be statistically analysed, being much more descriptive [like saying that 20% of the plants I looked at showed character A, while 80% did not.] I often had to fight to have my research accepted by other scientists. But while I understand that drug companies would look for ways to have the best PR outcomes for their drug trials [by choosing patients with blood markers recorded in numbers], I believe they must find better ways of testing and reporting trials using NON-STATISTICAL methods, thus including ‘real’ patients in their trials. Thank you for your post. I do appreciate the discussion. I wonder have you read the pdf about Dr. Pincus’ work? It is an argument that his data derived from patients is as “scientific” and “measurable” and more predictive than these other so-called objective measures. If you haven’t read it yet, I’d love to hear your view after you read it and these links. Also, I’ve argued continually that there are clear measures of disease activity which are measurable with numbers and more reliable than CRP, which was recently proven unreliable for this use – click here and read the last sentence especially. Examples of objectively measurable numbers that are more reliable than crp include fevers, tender joint counts, swollen joints, anti-ccp, grip strength, hours of stiffness. My response to the Pincus paper is rather long, so I have sent it as an email. I note your suggestions for other ‘measurable’ symptoms. They are all valid, but I think most of them will still have the flaws that not all of us exhibit every one on them. I think Pincus idea is to have a questionnaire that includes enough of these symptoms/markers that patients can report, so that the ones they can report outweigh the ones they can’t. Doctors can still do any tests they feel are needed, including joint counts, strength tests etc etc etc, but the patient questionnaire should have equal or greater weight to the lab tests. It is not clear from this paper whether he is thinking of using the quest. as a diagnostic tool; I am more inclined to think it is a monitoring tool to help a busy doctor understand how a patient is doing under a particular drug regime. Thank you so much for taking time to read the paper and reply. I’m sorry if I confused you on some things about my RA – I’m not sero-negative. But I do think Ted Pincus’ work is very important. His various versions of the patient questionaire are widely used. Ted Pincus does not have difficulty getting funding. He is one of the most respected rheumatologists in the ACR. I am only guessing, but I doubt that clinical trials would adopt his method since it would show a lower success rate. In the recent remission article, I showed how Wolfe et al demonstrated that overall remission rates are 6% while some clinical trials claim 50% by using different standards of measure. Of course clinical trials will do all they can to make the outcome appear as positive as possible. The genetics of CRP have led to suggestions of a formula to adjust for each haplotype. I’m not sure whether that’s in the full article in the Nature Rheum. Journal, but I think so. There is a series on RA & genes coming soon from a friend of the site who is a geneticist. Maybe it will make the case more clearly than I have. I know he works a lot with pharma companies and current research so at ACR, he has several presentations. Off the top of my head, one of his other big things is low-dose prednisone. He’s worked for years to establish how low doses or long-term low doses can provide benefit. The early high dose cortisone treatments led to “giving up” on this drug, but over the last couple of decades, “very low doses” (under 5 mg) have been shown to be effective in reducing erosions in a safer way than previously believed possible. Hi, happy to read all this good info. In response to this last post, isn’t prednisone even in low 5 mg doses very destructive to bones??? not necessarily – it slows bone erosions in RA. It can also contribute to osteoporosis but long-term low dose has been studied quite a bit and been found much safer than the older methods of higher doses. There are some articles here about that – you can look at the Tags List on the right for prednisone. All meds require weighing risks and benefits – for some there side effects of prednisone don’t outweigh the benefits, but most with RA decide they do at least at certain times. I’ve just been assessed at the Pain Clinic and the medical director said that current thinking is that the CCP test is more accurate in diagnosing RA than the CRP alone. They should always be done together and in this way not as many people (or doctors) will be confused or misled. I have known for one year that I have RA. I have had a difficult time getting answers and am trying to educate myself. I request my bloodwork results when I go to the doctor but would really like a better explaination than “everyone is different”. I’m not sure if my RA is in its early stages and what can I expect later on. I am taking methrox. which is something that worries me with its side effects. This website is the best for educating me about RA. Here I can read what others are feeling and it helps me know what kind of questions to ask. I am very grateful for such a resource. Thank you. Thank you Allison. I’m working on some better tools for those questions, but it’s also true that hard answers don’t exist. I assume you’ve read thru the RA Map on the menu – there is some basic info there. I find this article interesting. The only blood test that is elevated fro myself is the CRP. I thought I was one of the only ones. I’ve seen too other rhuematologist that said it meant I had “heart problems” not RA. My current Rhuemy said…NO you have no heart issues, it’s RA. Sero-negative, yet he treats me the same. Everytime I’ have tried Enbrel, Remicade…it went to normal, yet I would still have “some” trouble with pain. When I go off of them the CRP raises. I would love to know more about CRP….when I google I find most of it related to heart issues or “immediatl after surgery” tester. I love all of your articles…So informational!!! “Failing” mtx doesn’t necessarily mean you can’t get a biologic covered, but you may need to be on mtx only for a few weeks. A dr can start the process in the meantime and getting your lung xrays or tb test etc. Your drs measure of disease activity does not have to rely on crp. There are other ways to measure disease activity and your dr should still be able to get your prescriptions to go through. There are even sero neg patietns who have taken all the available treatments. No way to know exactly what your copay will be for each one, but since you haven’t tried a biological drug, you might check to see if there is better coverage for one than the other. As a new patient, there’s no way to know which one would might work for you anyway. The pharma companies have programs to help with those copays and your dr should know about this and help you thru it. There are also websites for each brand that can help you find the assistance. As far as crp, it might be a slow process to change the trials but we are working toward it. And I did eventually get into a rituxan trial with no crp test because it is an already approved drug. I hope that helps some. Thanks for your prompt response. I think I lucked out and got a good Dr. on the first try. He has already done lung xray and other tests on first visit. It was just frustrating when he explained that my insurance company is making some of the decisions instead of him. I’ve never really been sick before and didn’t know how the system works. I go for blood work today and I’ll ask if I have to wait 3 months or 3 weeks, maybe I misunderstood. Thanks again for the information. I’m still overwhelmed and hoping someone is going to tell me it’s all just a big mistake. Oh my goodness….I just read this today and had to chuckle! I am “one of those” people whose CRP and SED rates rarely move. I can be so inflamed that I can’t make a fist, and my rates will be sitting right there in the normal range. Its been this way for 11 years and it complicated matters in my diagnosis. I found a fantastic rheumatologist but he has left the area now and my attempts to find another have been challenging. There seems to be such a shortage of physicians who specialize in rheumatology…and most of them base everything on the numbers instead of communicating with the patient and simply viewing the obvious. Thank you for sharing, Kelly! BTW, I have taken many drugs for my RA…..in the early days there were lots of pills and then I took several other meds like Enbrel (which worked for a couple years) and Remicade (which worked a bit longer). I’ve been on Methotrexate twice and hated those side effects. For over a year now, I have taken myself off of all medications. My fellow RA friends think I’m nuts (and I wouldn’t be surprised one bit if I am am! LOL)…but I am trying to cleanse my system of everything. I have been vegetarian for 6 months and have tried to be more diligent about eating whole foods. I won’t say its the “answer” to RA and its pain, but I have managed a bit better. If nothing more, I feel like I have more control over myself instead of beating myself up if my blood work was normal and I felt like crap. I have less pain most days than I did when I was loading myself up with the meds. But trust me, I will be with first one in line if the pain and symptoms return full blast! This is exactly what I’m experiencing. My CRP level has climbed from 0.2 to 6.8 over the last six weeks, but as it’s still within normal limits I am, apparently, okay! In fact I’m so well that my consultant has taken me off one of my drugs – hydroxycloriquine and prescribed sleeping pills instead. My joints were so sore and swollen last week that I could barely function. Unfortunately for me I had a steroid injection on Friday which has almost completely removed my outward symptoms for the time being. I’ve been left feeling like I’m either lying or hysterical.